Independent Building Corp. is pleased to announce we’re branching out, offering our expert design and build services on your land. Whether you need an in law addition added to your current home, or want to build a new home complete with in law suite, we have you covered. We know what customers are looking for in a builder, quality craftsmanship, clear communication, and a strong reputation. As the exclusive builder for some of Massachusetts most beautiful communities, we have a track record of successful builds that can put your mind at ease. 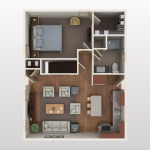 The two in law suite options below fit seamlessly with our Norwood, Norwood II, Wellesley, and Meadow Crest plans. 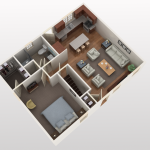 This plan includes everything you need and then some in an in law suite. The addition of a dining room and an extra room for a home office/bedroom make this in law feel like a home. 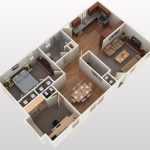 Includes wood cabinets & granite tops, stainless steel appliance package includes range, dishwasher and microwave. Hardwood, Carpet & tile floors. Ultra Energy Efficient Construction. 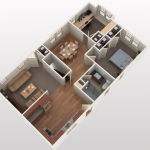 This plan includes everything you need in an in law suite. 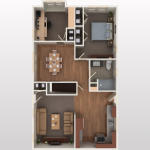 Includes wood cabinets & granite tops, stainless steel appliance package includes range, dishwasher and microwave. 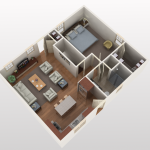 Hardwood, Carpet & tile floors, and a walk in closet. Ultra Energy Efficient Construction. No problem, as a full service design and build firm we’ll work hand in hand with you to build the ideal In Law Suite for your needs.